Why We Believe Being Different is Being Beautiful. Beauty is so much more than what is on your outside. It’s about how you feel, your thoughts, your emotions. It’s about what you think about, what you focus on, it’s about how you treat other people. It’s about your inner emotional state – since your inside will always reflect on your outside. Above all, it’s about being true to yourself, honouring your uniqueness, being who you really are and expressing yourself in ways that you feel happy and comfortable with. 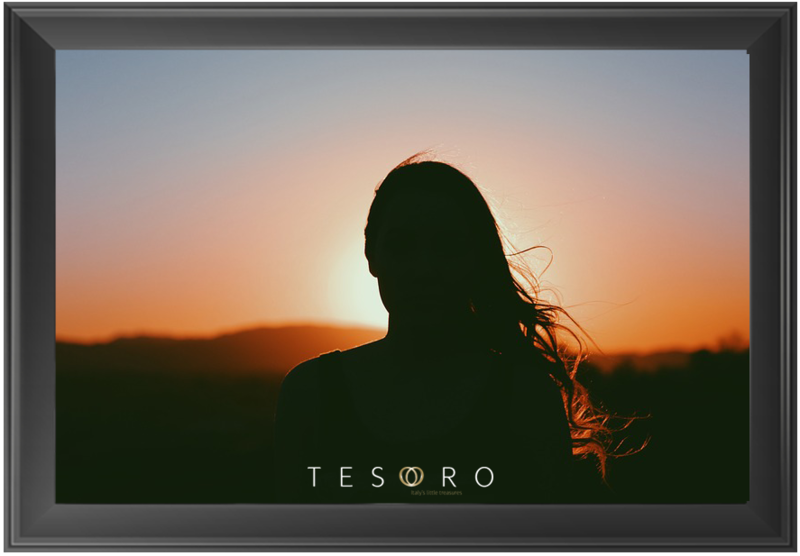 Here at Tesoro, your uniqueness and all the ways you are different is something we truly celebrate and honour. In fact, that is one of the very principals that Tesoro was founded on, some 45 years ago. When our grandfather Francesco saw how his beloved wife Rina adored and cared for her special pieces of jewellery, how she wore them with pride and confidence, and how they enhanced her own uniqueness, he was amazed. To create exquisite, exclusive pieces of jewellery which makes every woman who wears them feel empowered, confident – and different in her own beautiful unique way. That is why, Tesoro jewellery is still created in the very place our concept was first born: in stunning Florence, Italy. Every piece is hand-made and every piece is limited edition: all our jewellery is created in very small amounts, ensuring each piece is unique and exclusive. Our jewellery is rich in detail, finished to the highest of standards and we always strive for the pieces to make you feel truly elegant and sophisticated – and special. Today’s world is becoming more and more automised, products are made on a low budget and mass produced in the thousands – and this is something we at Tesoro shy away from. We always choose quality and uniqueness over quantity and repetition. Our deep Italian family history, values and our motto: to give women the ability to express their unique style and personality through our jewellery – is and will always be incredibly important to us, and is something we will always stand for and strive for. That’s why, we believe in being different, being authentic, being unique – being the different and unique You.